FHS Library has a New Look! Thank you to Mr. Chin and Ms. Katcher for our modern updated look. Come in and try our new tables and chairs. We also have 30 computers for student use, courtesy of Veritas High School. Flushing HS Library is open periods 1-9. Students may use our library during their lunch periods only. Admission is by ID card only. Teachers are welcome all day. We have three tables in the back reserved exclusively for teachers. Please visit us soon!!! Empower your students to decide how our tax dollars should be spent. 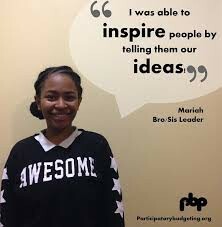 Create a participatory budget committee within the school. This could turn into a schoolwide initiative to turn spending decisions over to our students. Training will take place in NYC on November 30, 2017. If you are interested, speak to Ms. Bayer. In the meantime, download the guide with sample lesson plans and a curriculum from their website. 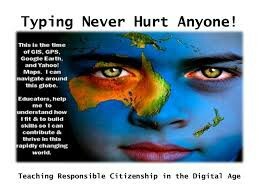 It is critical that we continue to teach our students how to be proper "digital citizens." This guide, produced by the School Library Services of the DOE, can get you started with helpful lesson plans and good ideas. Did you know you can borrow sets of books for your students from the public library? 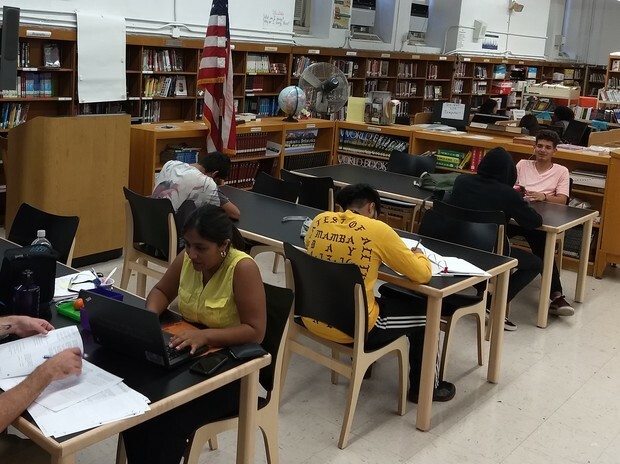 FHS Library has renewed its subscription to MYLibrary NYC. Teachers can order up to 10 copies of one title or a range of books on a particular subject. 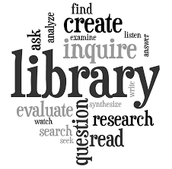 Browse the selection at mylibrarynyc.gov. If you are a new teacher, stop by and I will give you a library card number which gives you access to extended borrowing privileges and many other perks. Do you have a student who loves to write? Recommend the YC Teen Internship. Applications are due September 29, 2017. I know this is last minute but sometimes the deadline is extended. Apply online here. If you would like your student to be a literacy ambassador for our library, have them complete the library challenge. Have them sign up online, then speak to the librarian, Ms. Bayer, for details. My goal is to have them read books, report to their fellow students about new books in the library and participate in the book selection process. Let's get our circulation up! Encourage your students to read and borrow books from our collection.